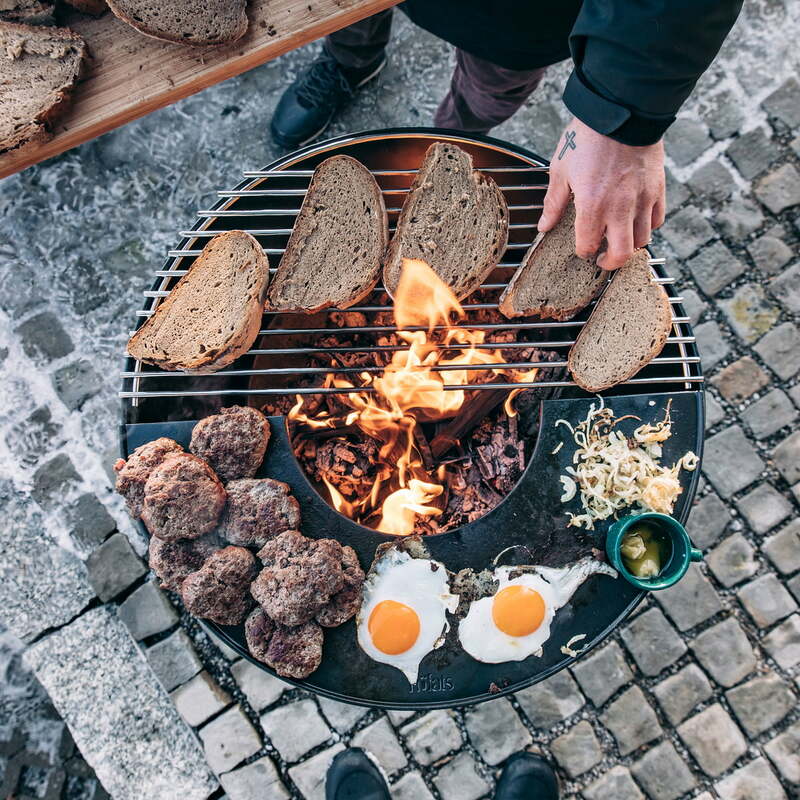 The Bowl grill from höfats turns the Bowl fire bowl into a grill in no time at all. Simply placed on the stainless steel grill, meat, fish, cheese and vegetables can be grilled or bread roasted. After the barbecue the bowl serves again as a fire bowl and gives cosy warmth and a beautiful light on long summer nights with friends or family. 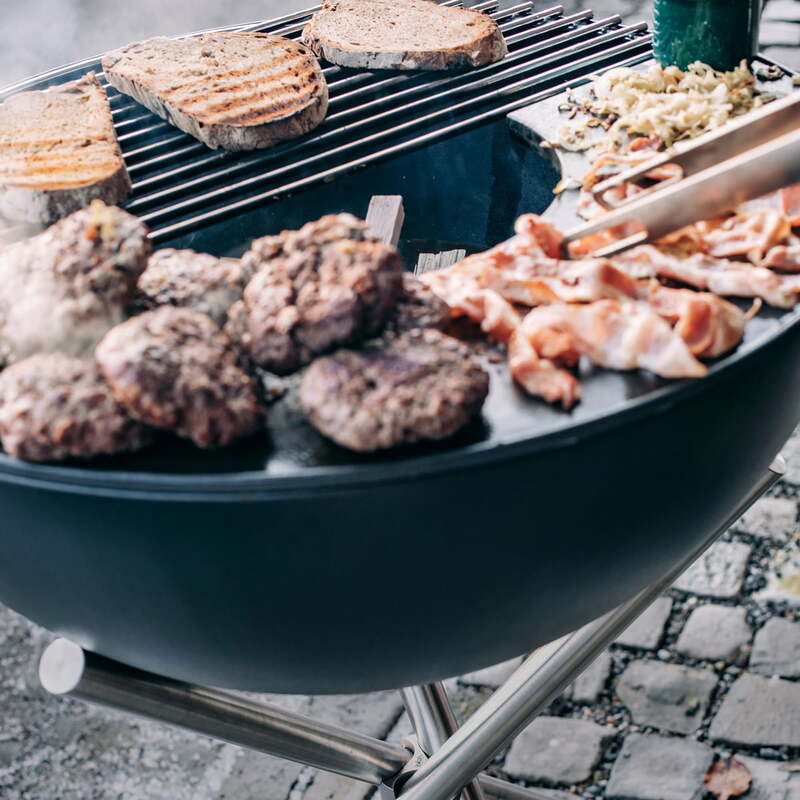 The grill consists of two parts. 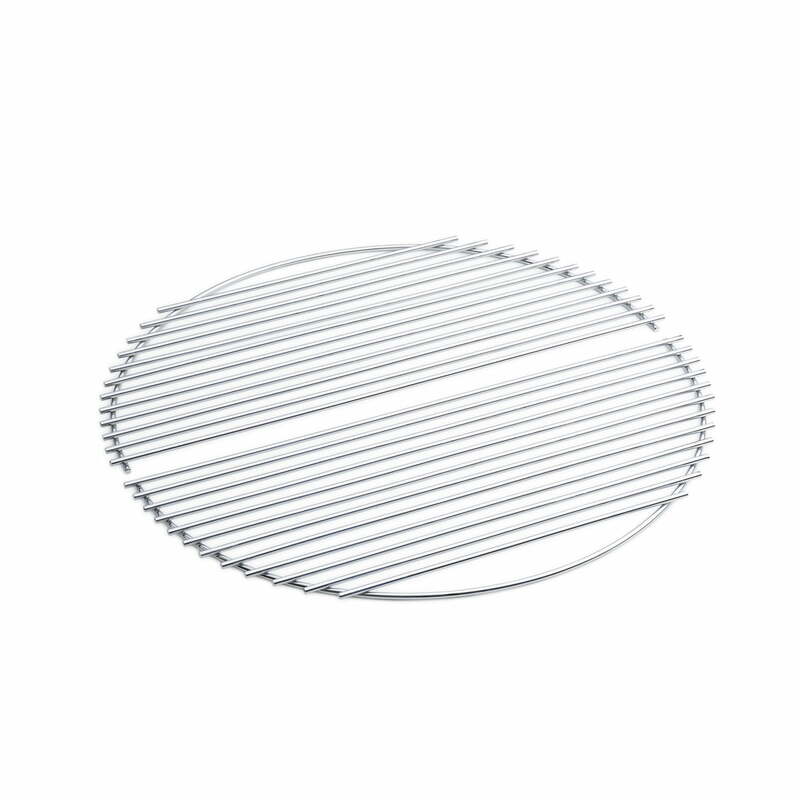 These can be used together or in combination with the Plancha.